My love and appreciation for Korean skincare products started around 4 years ago when I was visiting Hong Kong. I was only familiar with a few Korean beauty brands (mainly Laneige and Etude House) since they were endorsed by the celebrities from the Korean dramas I had watched. It was pretty difficult to get a hold of those brands unless you bought them from eBay, so I got really excited when I saw the Laneige store in Hong Kong. What I thought would be just a quick grab-and-go visit actually turned into a long skin consultation involving a machine that was able to analyze the different dimensions of my skin. It was my first time really learning about the “science” behind skincare, so I was intrigued and purchased everything she recommended. Sadly when I ran out and realized how difficult it was to repurchase them from the States, I took a break from Korean beauty brands. It was only when I saw Laneige at Target in early 2014 did it re-ignite my interest to start exploring Korean skincare again! When it comes to beauty products, I tend to splurge more on skincare products than on makeup products, because I like the idea of investing in the preservation of your skin. I also think it’s because I’m not a huge morning person, so I prefer to keep things quick and simple in the morning (meaning there’s very little time allocated to putting on makeup). I figured that if I invested the time and effort at night into a skincare routine that would keep my skin healthy and clear, I wouldn’t have to spend time covering up blemishes in the morning. 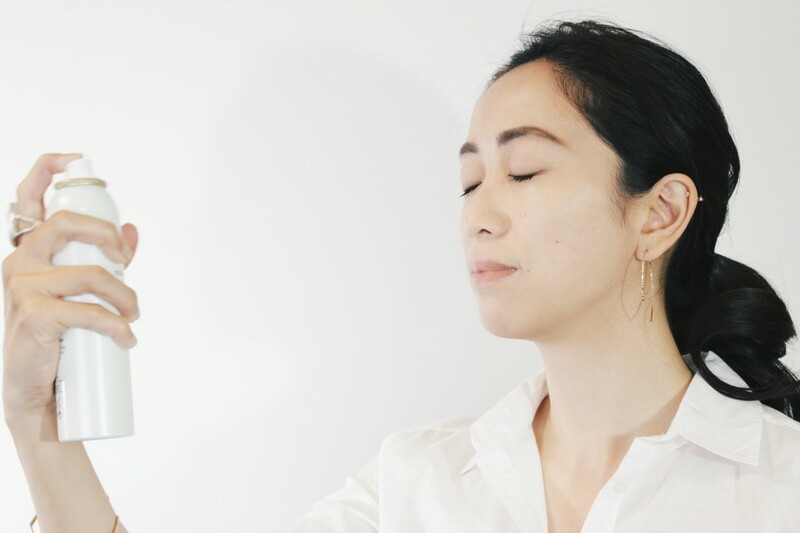 The Korean Skincare Routine is somewhat similar to the Japanese Skincare Routine, but I think the Korean version has risen in popularity given the surge of new, innovative products from Korean brands. The Korean 10-step skincare system definitely sounds daunting, but I’ve be able to merge it with my nighttime wind down routine. I’ll watch either Netflix or YouTube videos as I go through the steps. I usually move over to the bed by the time I reach the sheet mask step (Step 7) and sometimes I’ll accidentally fall asleep with the mask still on (oops!). Also, feel free to skip some of steps that don’t quite apply to your skin type (I have normal to combination skin, so I generally follow all the steps, but will skip a few when my skin doesn’t feel too dry). The easiest way for me to remember the correct order to layer on the products is to work from lightest to thickest in terms of texture. I’ve also mixed in a few of my favorite products from non-Korean brands for several of the steps (don’t feel the need to stick with only Korean brands just because it’s called the Korean Skincare Routine). 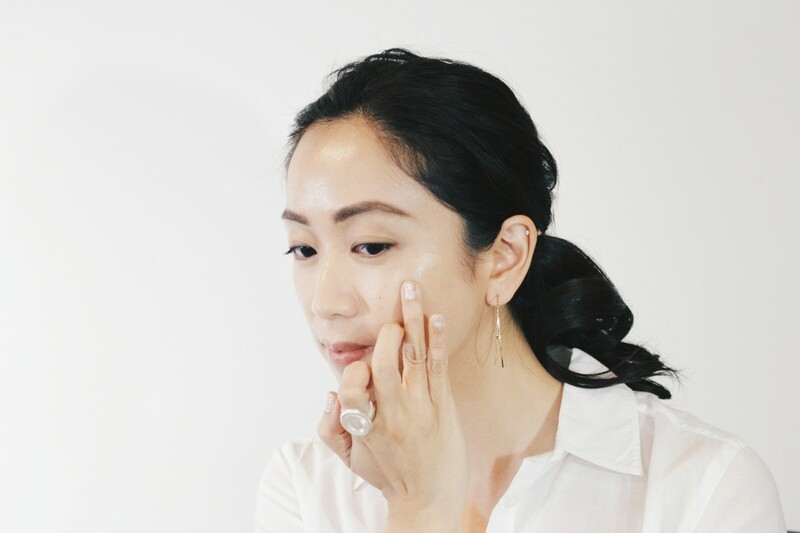 I love the solid balm formula of Banila Co.’s Clean It Zero Balm Cleanser and how it transforms into an oil layer when you start massaging it onto the face. It does an amazing job at melting away the makeup and leaves my skin feeling moisturized. 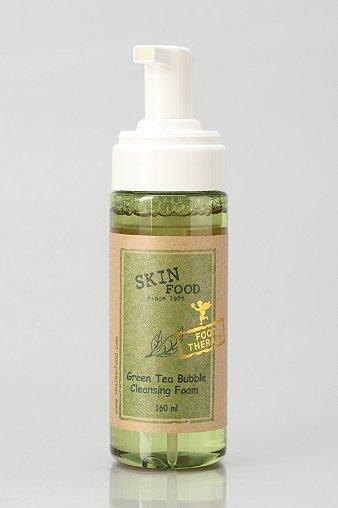 Since the oil cleanser does a great job at removing the makeup, I go for a lighter and refreshing cleanser like Skinfood’s Green Tea Bubble Cleansing Foam, which feels like I’m dipping my face into a soft cloud. 3. 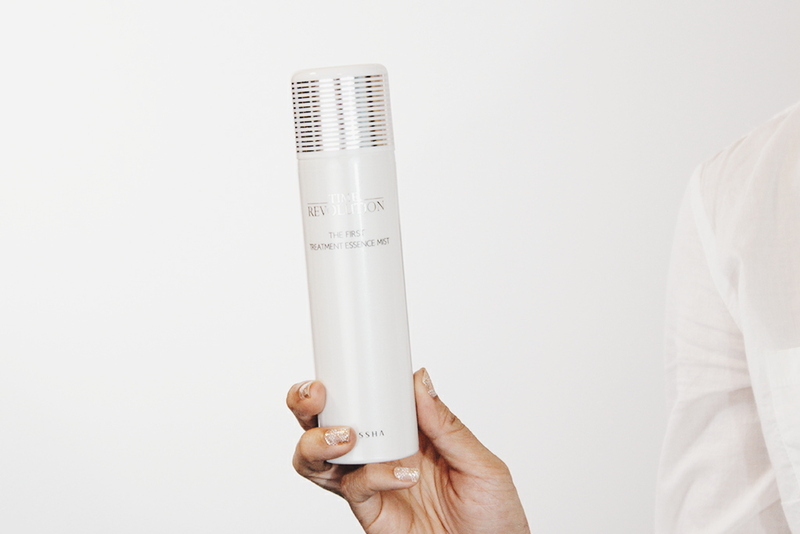 EXFOLIATE – Removes dead skin cells and unclogs pores, enabling your other products to penetrate more easily. 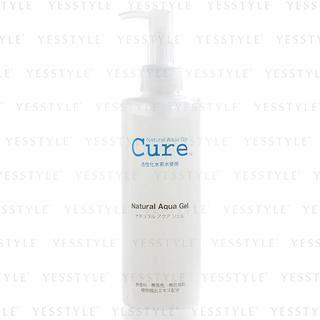 I’ve been using the Cure Natural Aqua Gel, which very gently removes the layer of dead skin cells. I apply the liquid gel on my face and let it sit for about 30 seconds before gently massaging it. The exciting part is the immediate results – I can see and feel the dead skin peeling off. I use this only once a week. EDIT: I was previously using the St Ives Invigorating Apricot , but it was brought to my attention by readers that the Apricot Scrub causes micro tears, which creates small openings in the skin for the bacteria to enter (yikes!). 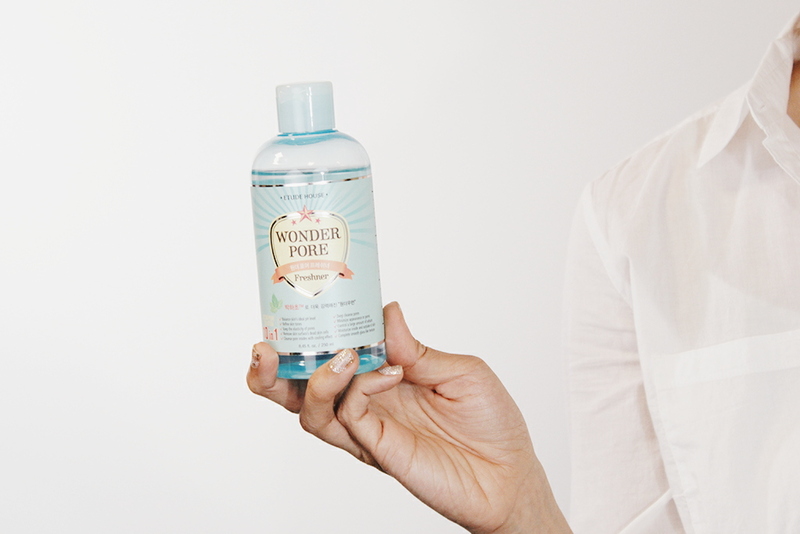 The Etude House Wonder Pore toner is a nice and light one that leaves my skin feeling fresh and clean. 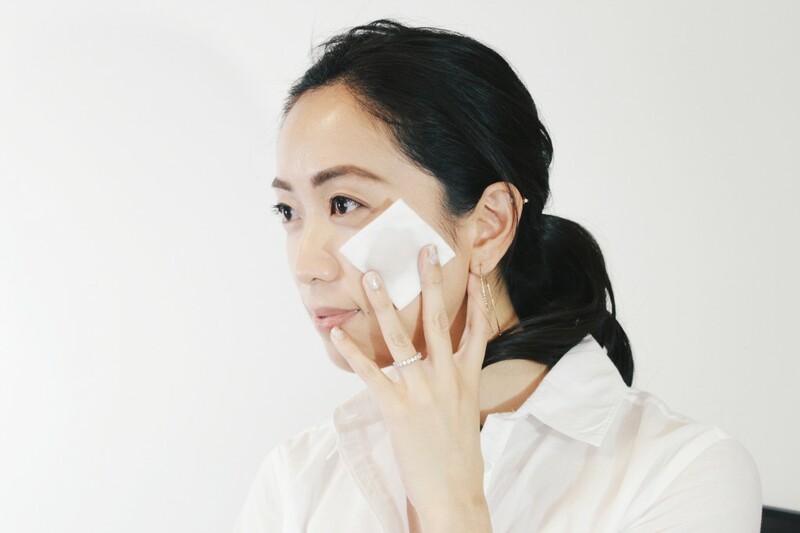 I usually pour it onto a cotton pad and gently swipe it across my face in an upwards motion. I also like to make sure that there’s no residual debris left on the cotton pad to confirm that I did a good job on the cleansing step. 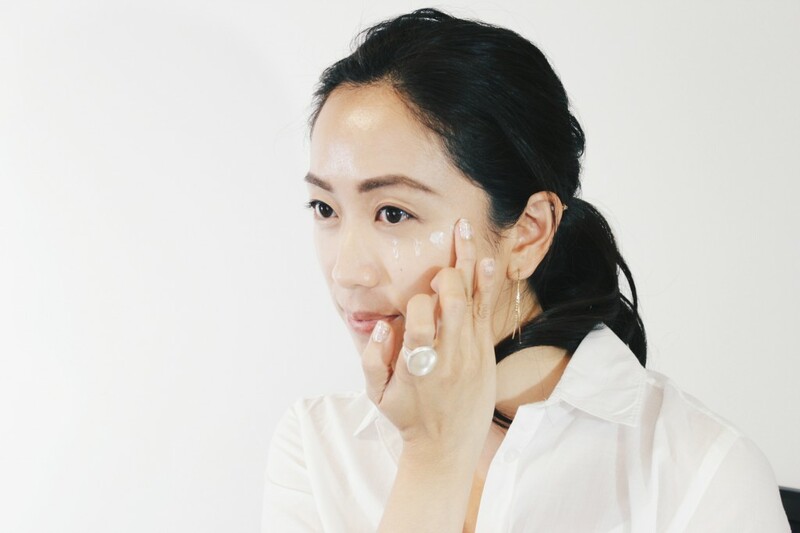 The spray formula of the Missha Time Revolution Essence Mist is so easy to use and I love how it provides a light, uniform coverage. 6. SERUM – Contains more concentrated active ingredients typically focused on treating dark spots or wrinkles. An ampoule is an even more concentrated serum that is mainly used sparingly to treat specific areas. 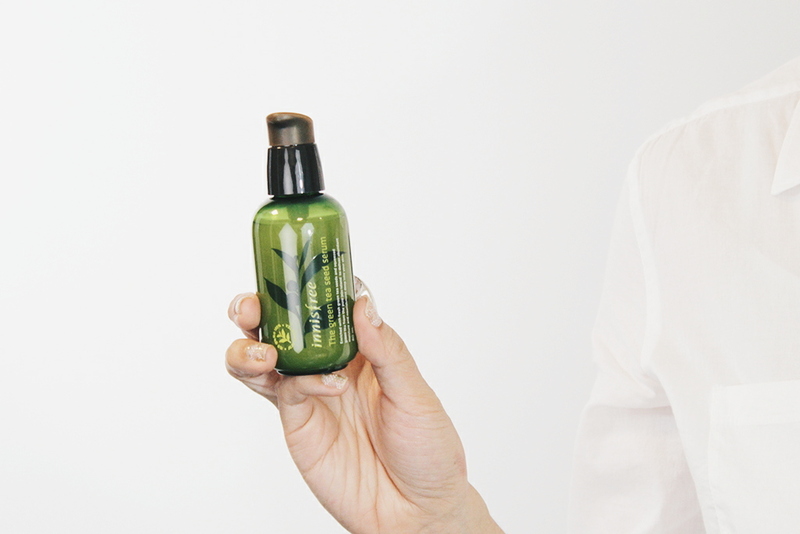 The Innisfree Green Tea Seed Serum glides on so easily and feels so silky. I mainly use this on the forehead, under eye area, and around my mouth. I’ve read great things about the natural anti-aging benefits of antioxidants found in green tea, so I figured it’s nice to incorporate it both from the inside (drinking tea) and outside (applying it onto the skin). If you want to shorten the routine, you can opt for either the essence, serum, or ampoule. Sometimes the names are used interchangeably across different brands and they may essentially be the same type of product. This is my favorite step of the entire routine. I love trying all different flavors, textures, and formulas for masks. You can’t really go wrong with a hydration mask and I love the ones that have been infused with natural ingredients. 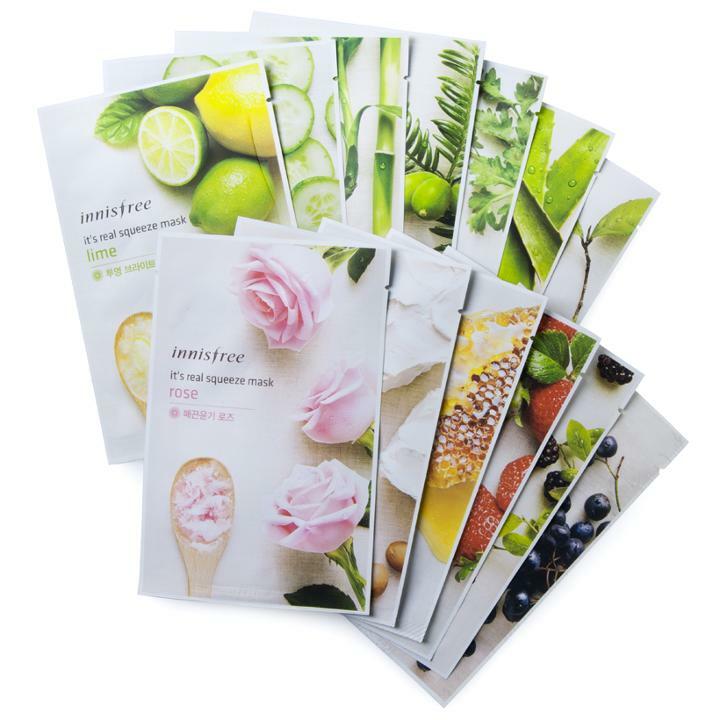 Right now, I’m currently working my way through Innisfree’s Sheet Masks, which comes in a variety of flavors. I am pleasantly surprised by how closely the smell resembles the real fruit or flower. I also like to keep a few in the fridge during the summer for an added cooling effect. 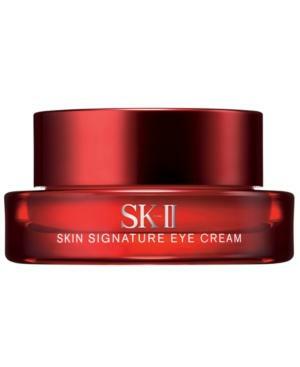 My go-to is the SK-II Skin Signature Eye Cream. I am a fan of the creamy texture and it doesn’t leave my under eye area too oily. 9. 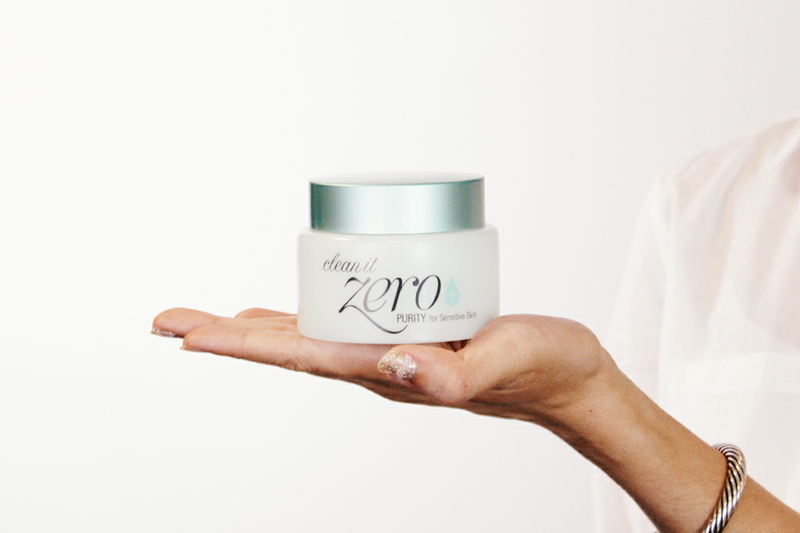 MOISTURIZER – Helps keeps the skin soft and keeps the wrinkles at bay. You can also use an emulsion or lotion at this step (lighter forms of moisturizers) if you have sensitive or oily skin, since cream moisturizers tend to be heavier and more likely to clog pores (better for dry skin). The Innisfree Olive Real Power Cream is a rich formula, so I recommend it to those with normal to dry skin. Olive oil is another one of the natural ingredients that contains antioxidants for anti-aging benefits and I really like the fresh smell. 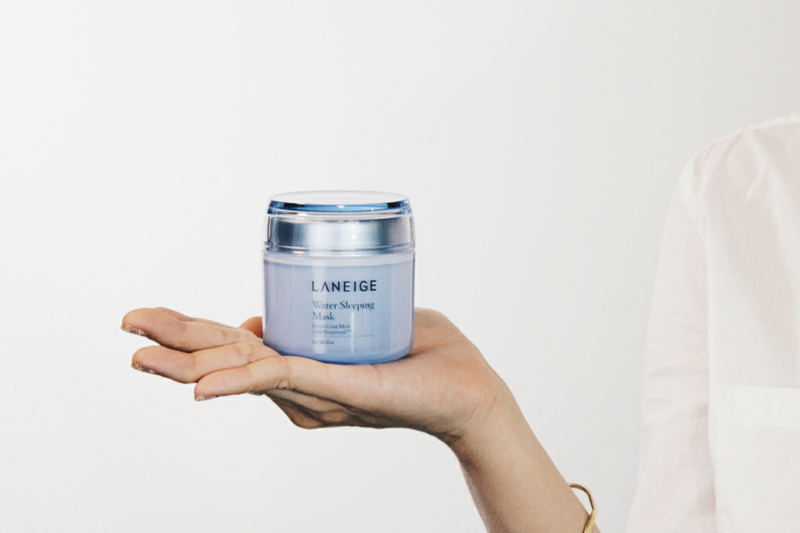 The Laneige Water Sleeping Mask is something I treat myself to when my skin has been under more stressful situations (i.e. excess sun exposure, stress, extreme weather, etc.). I especially like using it before I get on a flight and I won’t wash it off until I get off the plane since it helps to seal in the moisture during the flight. If I’m using this, I try to layer an emulsion underneath it (instead of a creamy moisturizer) or else I tend to break out from over moisturizing. Also, don’t forget to apply sunscreen prior to starting your makeup routine. I’ve been loving the It’s Skin Smart Solution 365 Watery Sun Gel since it has a pleasant fragrance and doesn’t feel sticky. 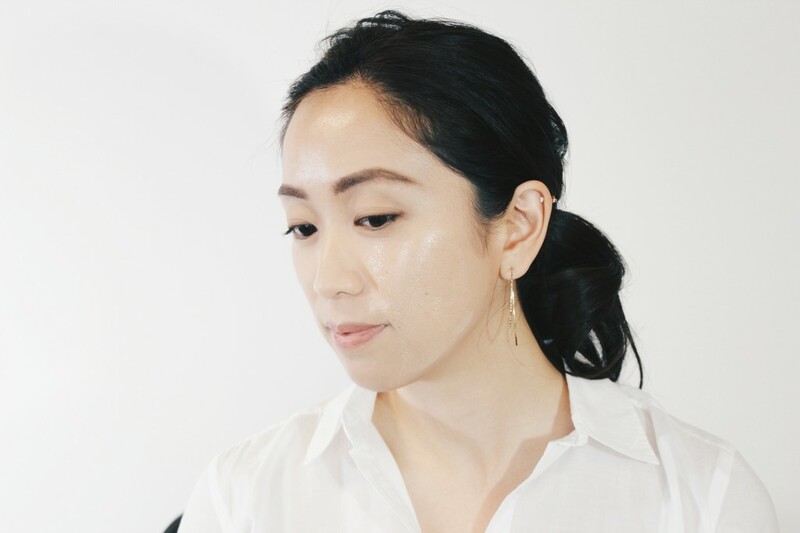 Overall, I strongly believe in the core principles behind the Korean Skincare Routine of investing time to take care of your skin and have noticed a difference in the brightness, softness, and clarity of my skin. I must admit that Korean brands do first draw me in with their innovative packaging and design, but the effectiveness and affordability of the products are what keep me hooked. I also love how a lot of their brands focus on harnessing the power of natural ingredients. Have you tried the Korean Skincare Routine? Let me know if you have any questions or any specific Korean Skincare Products that I should try!